This songs are very special. They connect the Vedic wisdom with western know-how. That's a principle Srila Prabhupada told us about and which he demonstrated by his own example over and over again. 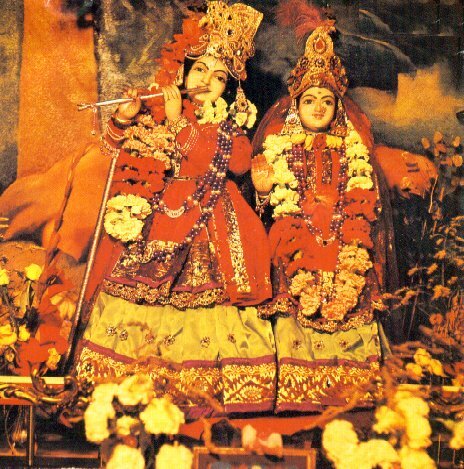 To greet the deities the song Govinda still is played every morning in each ISKCON temple all over the world. Srila Prabhupada wrote about this song in a letter: "The record is so nice that I am playing it at least once in a day and it is giving me transcendental pleasure with tears in my eyes. I am sure this record will be the first-class 'hit' as already opined by the experts." Indeed the songs Govinda and Hare Krsna Mantra reached the top 10 in record charts throughout the world.